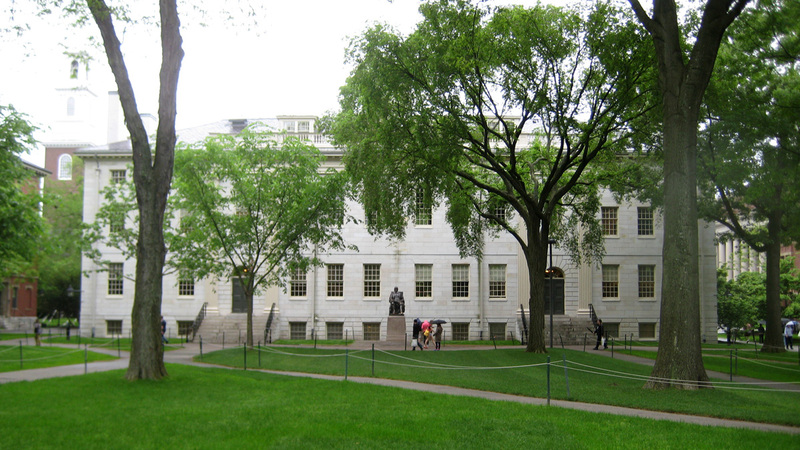 Originally established in 1636 as New College, the school was named for benefactor John Harvard three years later. 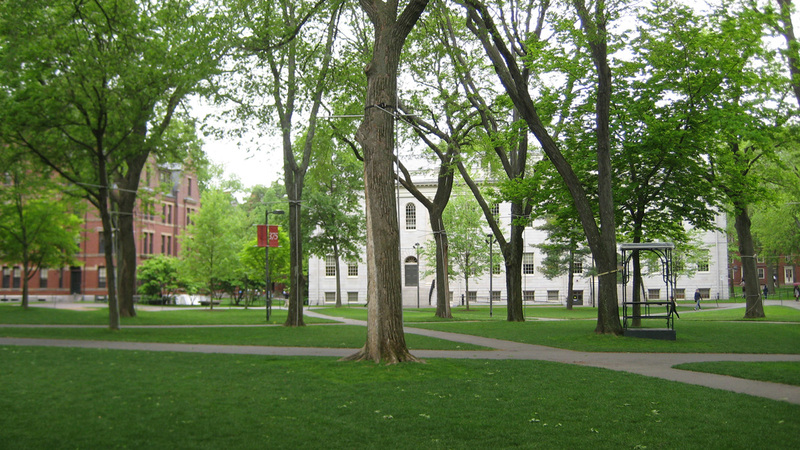 The main campus is situated on 210 acres total, with the 25-acre Harvard Yard being the oldest section of the campus and its symbolic heart. 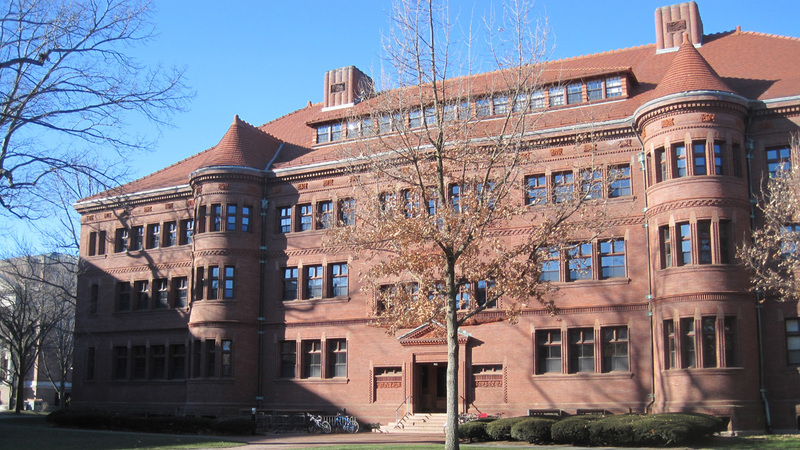 Located in the Yard are several historic buildings, such as Massachusetts Hall (1720), University Hall (1815) designed by architect Charles Bulfinch, and Sever Hall (1880) designed by architect H.H. Richardson. 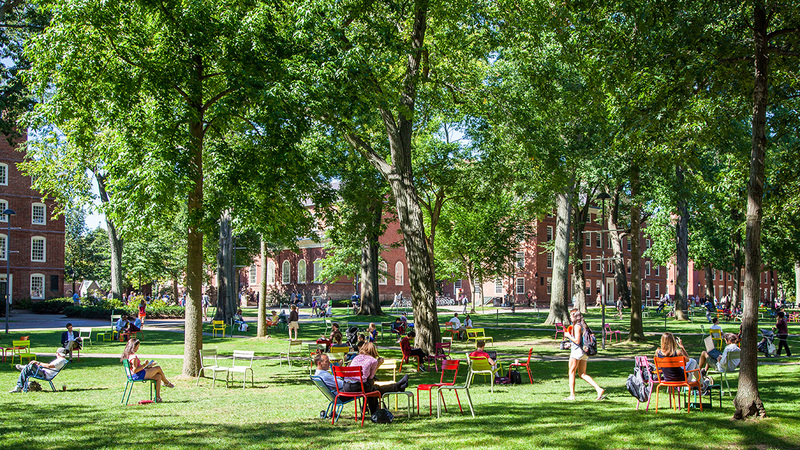 Beginning in the early 1990s, Michael Van Valkenburgh Associates (MVVA) developed a master plan for Harvard Yard and worked with Harvard University over the course of a decade to implement the plan. 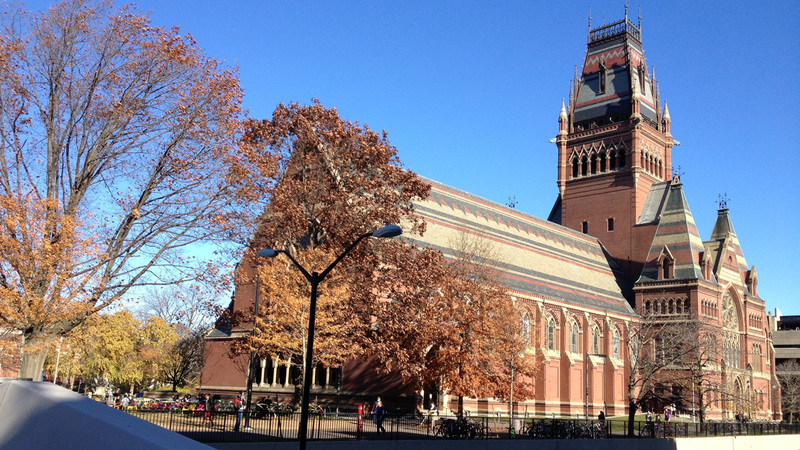 To the north of the Yard is Harvard Law School (1817) and Memorial Hall (1878), which was designed by architects William Ware and Henry Van Brunt. 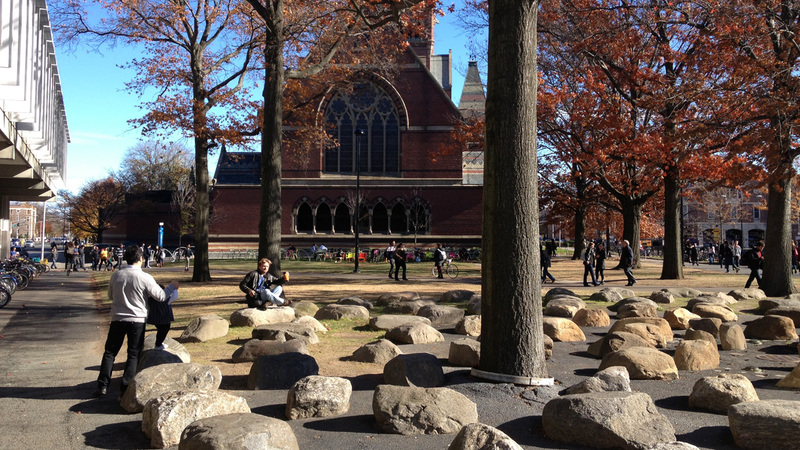 Tanner Fountain, designed in 1984 by Peter Walker and the SWA Group, is located between Harvard Yard, and Memorial Hall. 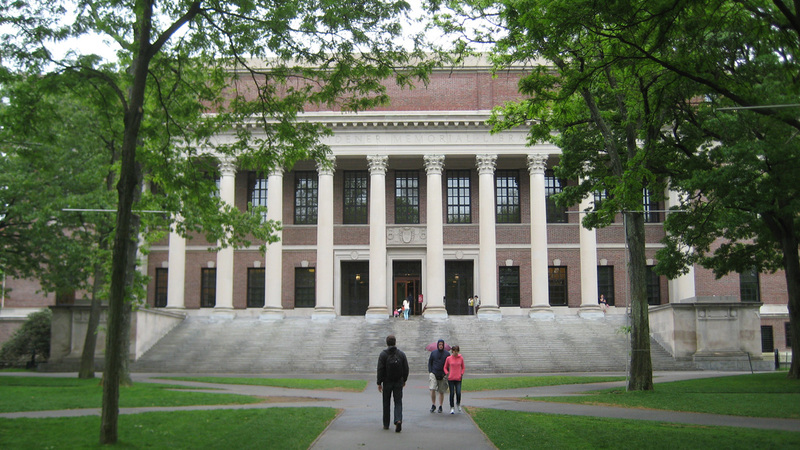 To the southwest of Harvard Yard, near the Charles River, is the John F. Kennedy Library, designed by architect I.M. Pei in 1960. 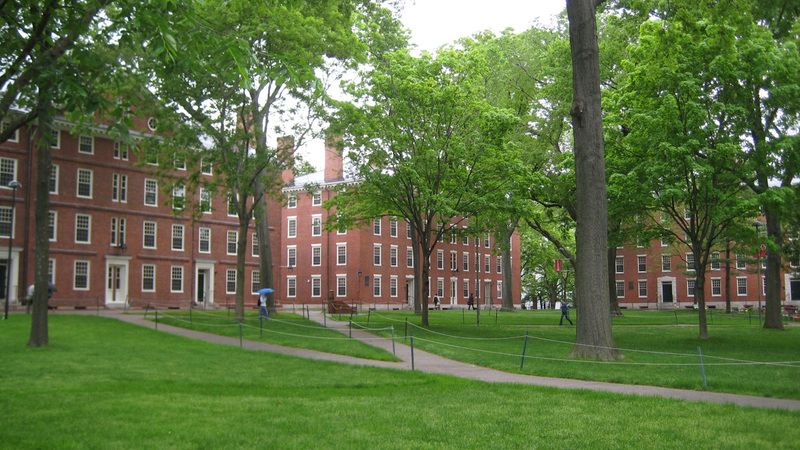 The Radcliffe Institute for Advanced Study, with Radcliffe Yard at its center, is located west of Harvard Yard. 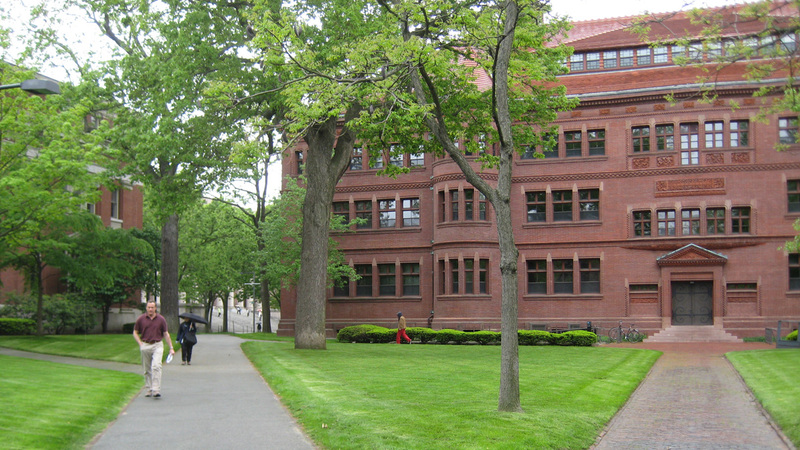 This area once housed Harvard’s female counterpart, the Harvard Annex (later Radcliffe College), which opened in 1879. 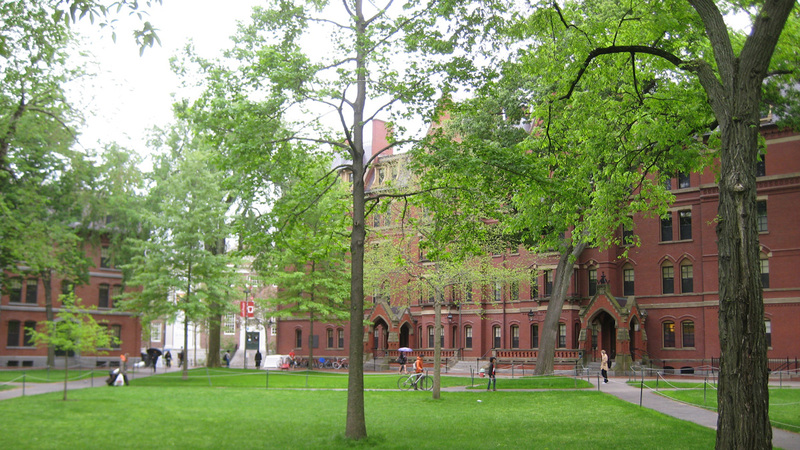 Originally one of the Seven Sisters colleges, it merged with Harvard by 1999. 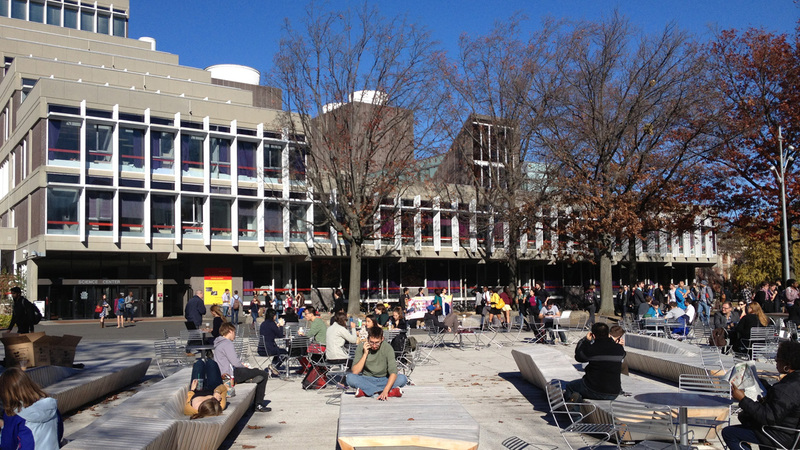 Situated across the Charles River to the south is Harvard’s Allston campus. 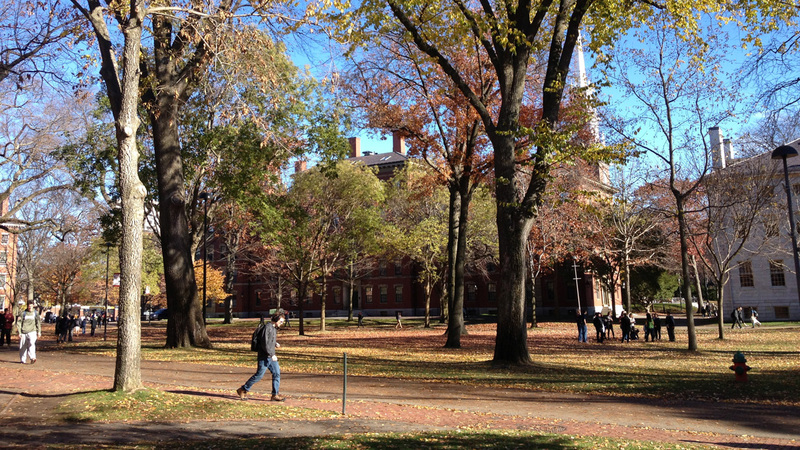 The first land acquisition by Harvard in this Boston neighborhood consisted of 31 acres and took place in 1890. 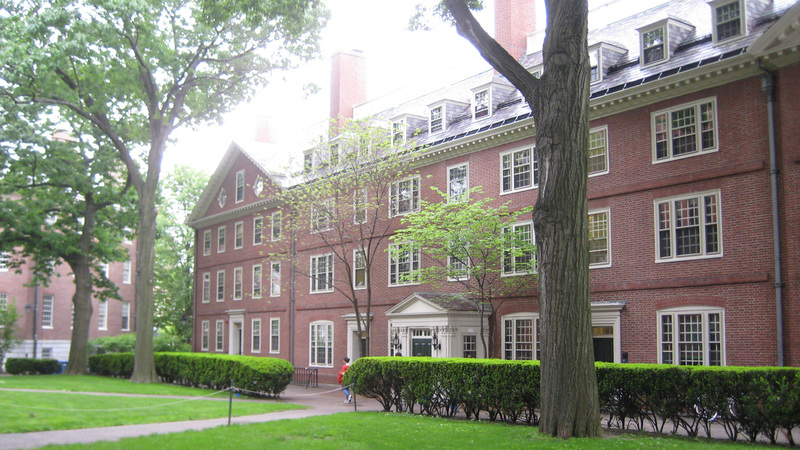 Now consisting of 358 acres, this campus features the Harvard Business School (1927), athletic facilities, and graduate student residences.